While voting for your favorite birthday photo still continues, it’s time for another contest. Our next game is dedicated to Valentine’s Day. 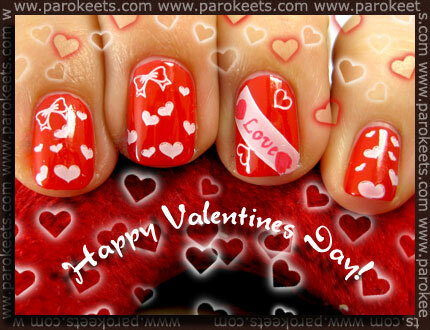 This time you can send us picture of your Valentine’s Day manicure or make-up. Valentine’s Day game is sponsored by on-line store Čarodejka. Two photos with majority of the votes will be getting first and second prize. Send us your photo of Valentine’s Day themed manicure or make up look (it can be photo of whole face or just the part of it) or both if you can squeeze them on the same photo by 23:59, 12.02.2010 GMT+1. Photos must have evident authorship, so your signature (your user name) should look something like THIS at least on one photo. cutie, can’t wait to see it!